MJPRU B.Ed Admission 2019 Form | Process | Notice | MJPRU Correspondence Distance B.Ed Admission 2019 |Eligibility | Cut Off | Result | Last Date MJPRU B.Ed Admission 2019-20. 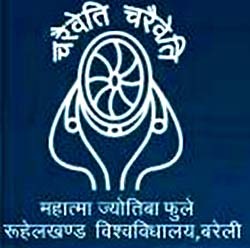 Applications are invited by Mahatma Jyotiba Phule Rohilkhand University (MJPRU), for admission to Bachelor of Education (B.Ed) Course commencing in the session April 2019. The Bachelor of Education (B.Ed.) Programme of MJPRU aims at developing the understanding and competencies required by practicing teachers for effective teaching-learning process at the secondary stage. Duration of the Course: The minimum duration of the programme at MJPRU is one years. 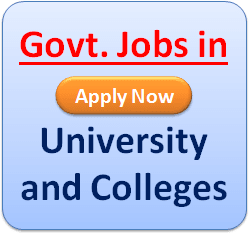 MJPRU B.Ed admission Eligibility: Applicants should have BA/B.Sc/B.Com B.Sc. 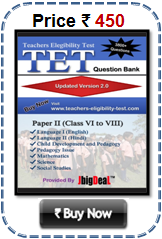 Home Science/BCA/BBM/BBA from any University recognised by UGC & Minimum 2 years teaching experience at the time of admissions as a full time regular teacher or as a Temporary teacher in any Primary/Middle/High School recognised by State/Central/Govt/Union Territory. Candidates can get the application form from the Cash Counter of the University by paying Rs. 300/- or by post sending a demand draft in favour of Finance Officer, M.J. P. Rohilkhand University, Bareilly, payable at Bareilly. Get more updates at recruitmentinfosite.comSend a self addressed envelope along with the demand draft. Candidates should fill the application form carefully with correct information. The spelling of their name, date of birth should be according to the certificate of matriculation. Candidates are requested to submit individual application form for each of the course. Selection procedure: Entrance test/ Interview. MJPRU B.Ed Entrance Test: For admission into B.Ed (Bachelor of Education) Course, an entrance exam will be organized by MJP Rohilkhand University. 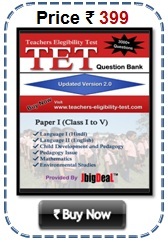 This entrance test is called JEE B.Ed entrance.